"Levee broke at ferry landing Mounds, Mississippi eight a.m. Crevasse will overflow the entire Mississippi Delta." ~ those were the dreadful words wired from Army district engineer Major John Lee to General Edgar Jadwin, head of the Army Corps of Engineers, 84 years ago today. That telegram announced the beginning of the Great Flood of 1927. While true statistics may never be known, The National Safety Council estimated deaths in the Yazoo-Mississippi Delta from the 1927 flood to be near 1,000 people. 185,495 people were directly affected in Mississippi, from Rosedale to Greenwood to Yazoo City and south to Vicksburg. Almost 42,000 homes were flooded, 22,000 buildings destroyed, and another 62,000 were damaged. The calamity's genesis was months prior, in the fall of 1926, with torrential recurrent rains falling over the northern Mississippi Valley. Snowfall that gathered over the winter began to melt with the advance of Spring in 1927, which also brought more rain to the southern Mississippi Valley. The water was gathering. The Mounds Landing levee failure, near Scott, MS, was the first of almost 150 levee failures along the Mississippi River. Geographic scars of the deluge at Mounds Landing are still - although barely - visible. 3000 feet of levee failed, releasing a flow of water estimated to have been twice that of Niagara Falls. Ultimately, 27,000 square miles of Arkansas, Illinois, Kentucky, Louisiana, Mississippi, Missouri, Tennessee, Texas, Oklahoma, and Kansas were inundated. 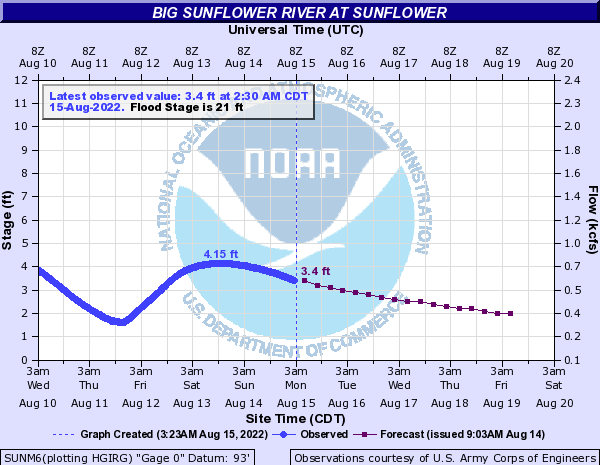 In Mississippi, all of Washington, Sharkey, Humphreys, and Issaquena counties were flooded, along with parts of Bolivar, Sunflower, Leflore, Yazoo, and Warren counties. At the flood's height, the Mississippi River spread to 60 miles wide (5 to 10 times wider than its current levee boundaries). Unlike most other natural disasters that dispel most of their energy in one major blow, the Mississippi River never stops. 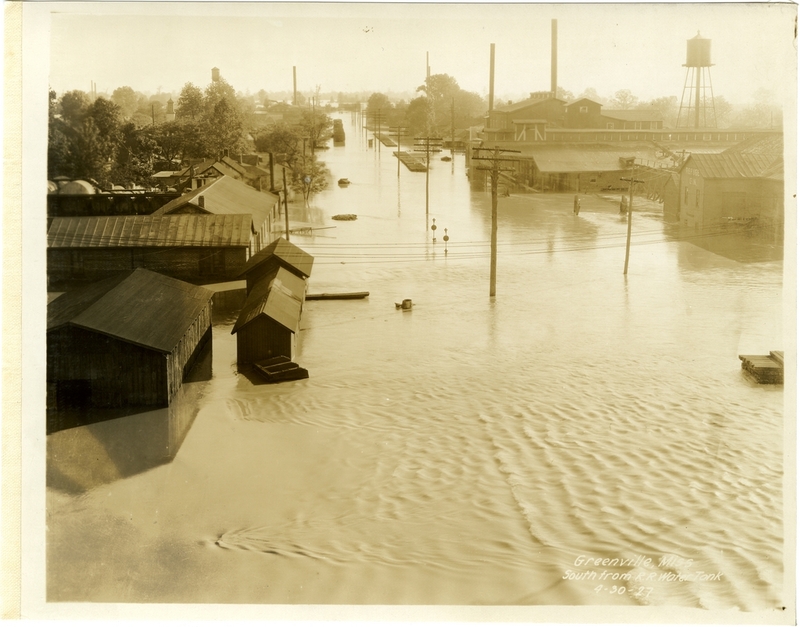 The flood of 1927 did not "happen" in the span of a day or two. Flood waters began to recede months later. As we contemplate our participation in the upcoming New Madrid hazard zone National Level Exercise, we should pause to look to our own history of disasters. From one disaster to another, we have rebuilt bigger, higher, and better, just as the river engineers did before and after 1927. Survivors of Mississippi's benchmark hurricane, Camille, fell victim to their own feelings of disaster-resistance 36 years later. And much like the levee builders did in the early 20th century, much faith was placed in human ingenuity's attempts to control Nature when engineers rebuilt taller and stronger levees around New Orleans after Hurricane Betsy in 1965. We easily recall human saga that resulted from days of flooding following Hurricane Katrina in 2005. Yet, has the fog of eight decades blinded us to the months of flooding that occurred in our own Delta area? The area of Mississippi affected in 1927 still has about the same population, with estimates ranging from 160,000 to 180,000, occupying some 60,000 housing units. Although the population hasn't changed much in nearly ninety years, a multitude of social aspects have. On the positive side, our population is more well informed, information travels faster and is more readily available, and we are more mobile. Armed with information and mobility, we are able to evacuate more easily. That mobility is a two-edged sword, though; we will want to come home more quickly. On the negative side, our dependence has grown. The movement and needs of a great mass of population present challenges to those who graciously open their cities to us; Mississippi isn't known as the Hospitality State by accident. We bring with us the maladies of a society that is far less prepared, and far less resilient. While not longing for the severe living conditions of the Delta in the 1920's, our people today are more dependent on others for their health and welfare than were our not-so-distant ancestors. An organized food industry has turned the family garden plot into basketball courts, swimming pools, and playgrounds; our daily sustenance arrives via truck. Advanced healthcare has given us the ability to live longer with a host of diseases that once claimed the lives of the young; but it quickly abandons us within the grasp of Death when disaster separates us from our medicine men. Where we once were dependent largely upon ourselves, have we have now laid that resilience upon the alter of convenience in our current age? We are accustomed to the pace of our modern life. Stresses of meeting work, social, and family schedules and demands take their toll on our overall well-being. That same rapid pace that slowly wears us down also engrains in us a desire to seek quick resolution to disaster's obsticals. We will want our disaster-disrupted lives to be rapidly returned to normal, with no convenience left out. History will be repeated. The Mississippi Delta will flood again, in spite of our grand efforts to prevent it from ever happening again. Taller, stronger levees perform their seasonal dance with the Father of Waters, which constrained by those same levees is now allowed to move more quickly and carry more water. Our own Gulf Coast is rebuilding to match the height of Katrina's storm surge, repeating the phrase heard after Camille that it won't be that bad again. The New Madrid fault will slip beneath the Mid-South, unleashing a calamity that will rival all of the great disasters of our time. Are we really that well prepared? Or are we that forgetful?